OUR SPECTACULAR EVENT was Captured Compliments of LesBe Real Media & PhillyCam! We hope you’ll enjoy these Highlights! Arts Against Bullying (AAB) – Each year our Philadelphia based headquarters host an event featuring an array of modern and classical arts performances aimed at raising global awareness about the bullying public health crises. The event was held Sunday, September 23rd at the Ibrahim Theater here in Philly! 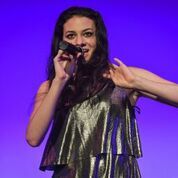 This year’s Honoree is Radio Disney/Teen Nick Pop Star Meredith O’Connor! Meredith is the UnitedNation’s celebrity Youth Advocate for anti-bullying with hit songs loved by millions of fans! Our esteemed Anti-Bullying/Anti-Violence Speakers include Judge Renée Cardwell Hughes former CEO of the fourth largest market in the American Red Cross (ARC) and Desiree Peterkin Bell, CEO DPBell Associates & former Senior Advisor ‘Obama for America’ who has been recognized by the Philadelphia Tribune as one of Philadelphia’s most influential African-American Women! PETER LESTER & KELLY BURKHART! Meredith O’Connor & her dance ensemble #slayed! 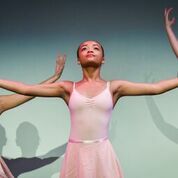 The Philadelphia Dance Academy – Youth Ballet #breathless!